The College currently is developing educational and research collaborations with schools of nursing across the globe. These opportunities allow faculty members and students to engage in unique and valuable cultural and academically enriching experiences. Dr. Karen Reed serves as a volunteer mentor to nursing students in Cambodia and volunteers her time and resources to teach in their undergraduate nursing programs as well as provide professional development programming for staff nurses in both public and private Cambodian hospitals. 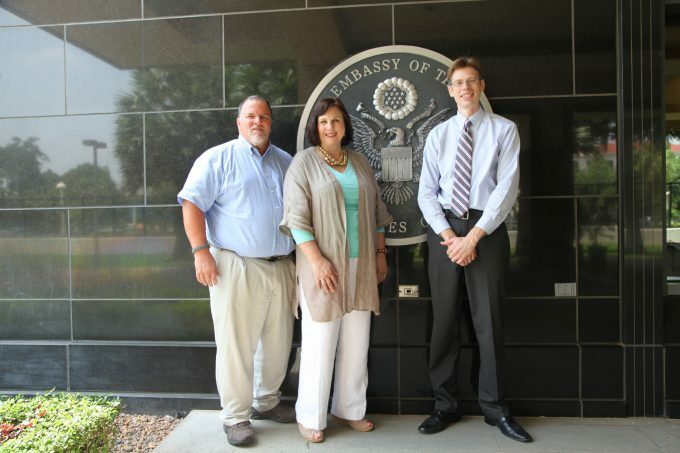 Dr. Reed was a Fulbright Scholar in Cambodia for the 2013-204 academic year. There she taught as a visiting professor at the Kampot Regional Training Center in Kampot, Cambodia as well as conducting professional development programs for Cambodian nursing faculty, nurses, and nursing administrators .We have had several CON students travel with Dr. Reed to Cambodia. 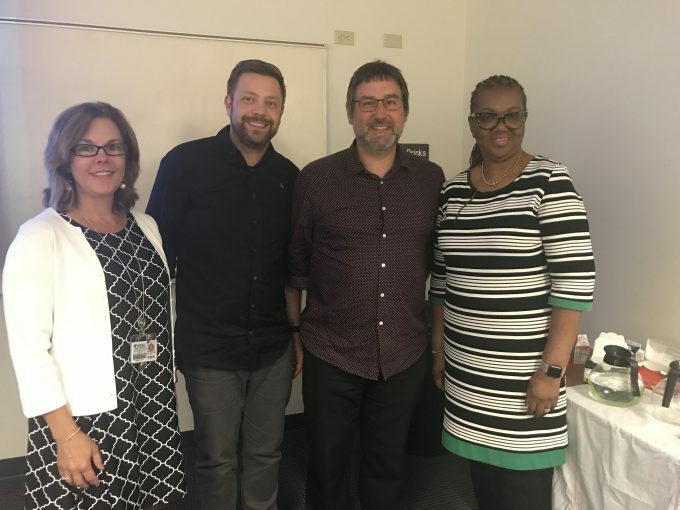 Jon Andrews and Robert Tummey of Coventry University in the United Kingdom were visiting UF as part of the Nursing Signature Study Abroad program, sharing knowledge of global health and international service learning. UF faculty members Drs. Paula Delpech and Tina D’Alessandro coordinated this visit. (seen above). The College’s faculty members and students also actively participate in externally-sponsored mission trips to developing countries to conduct health screenings, educate local health care personnel, and promote health prevention among its citizens.